Wow it has been a crazy couple weeks. I am sorry that I totally forgot about posting my ramblings from last week. I ended up working a couple days in the office which totally thew me off. I am beginning to wonder if you can teach an old dog new tricks even if they were tricks I used years before. I have been on a special project for the past three years and finally moved back to my 'normal' position and I feel like I am struggling uphill to master behaviors that used to be second nature. I have my goal which is to make enough to pay for this house that I love and have been trying to purchase for the last three years. Our days here can be beautiful even when they are gray. It's a matter of enjoying the different shades of gray. Why is it that people are wanting to solve their problems with guns. Personally I wish that guns or any long distance method of violence would stop working. Perhaps if you had to grab a sword and have the risk of being killed yourself, the mayham would decrease. I have been selected to work on ZNETShow's next e-zine! The theme is going to be Icy and I can hardly wait to see what I will be receiving to work with. Just the thought is causing my creative juices to churn and bubble. Found out that I won a Go Cam through work. Not quite sure just what I will do with it since I am not one to make videos but I am sure that I will find a good use for it. Perhaps attaching it to my magpie dog's collar to see just what all he has in his stash and maybe locate them all. Your photo is lovely, and I agree with the guns issue. Solving problems never, ever works with violence or hate, it only makes matters worse. I have the same feelings, as well, related to guns. I am almost not shocked anymore when I read the news. I opened my news feed this morning and read that a 5 year old killed his infant brother with a revolver...made me ill.
Congrats on making the Design Team! Look forward to seeing what you create! I certainly agree about the guns and violence never solves anything. 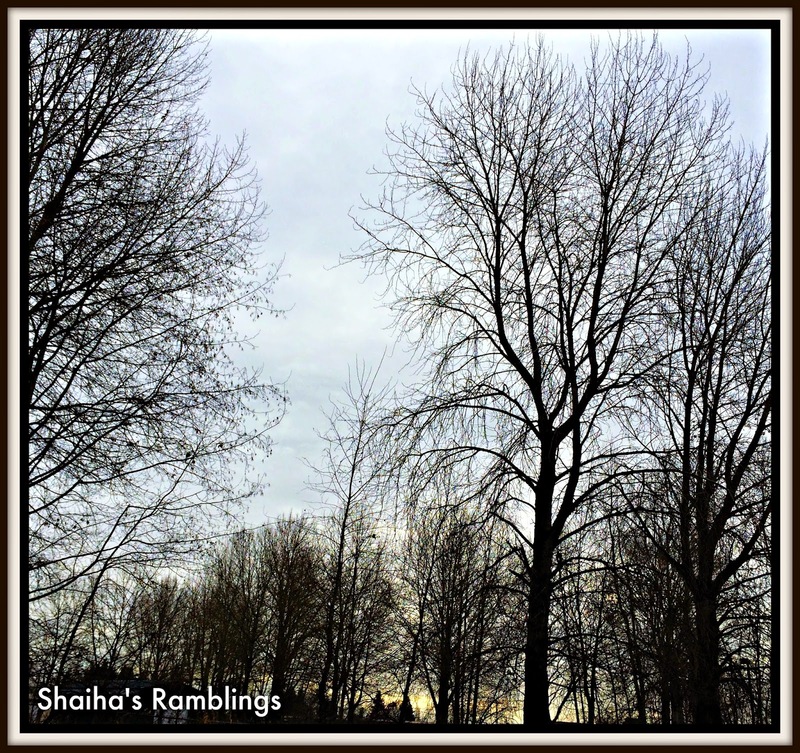 The picture is beautiful those bare branches against a grey sky marvelous!"